Day 75: We slept in this morning at the hiker hostel. Upon waking, I took a shower, then got breakfast and coffee. Then I visited the ER for my feet. They told me it was simply overuse and to keep taking the Vitamin I. We got lunch and ended up talking with some “townies” there. An older couple offered to give us a ride back to the trail and we took it! We had an easy 9 miles to the shelter and saw one view. We met a super nice PATC Ridge Runner at the shelter and enjoyed a campfire with others before bed. Day 76: We finally broke 20 miles today! The terrain was great as we finally found a flat stretch in Virginia. (There is a rumor that VA is flat… it is NOT!) We hiked the end of the day with J-Rex. It was very hot and when we found shade we joked that we were in air conditioning. 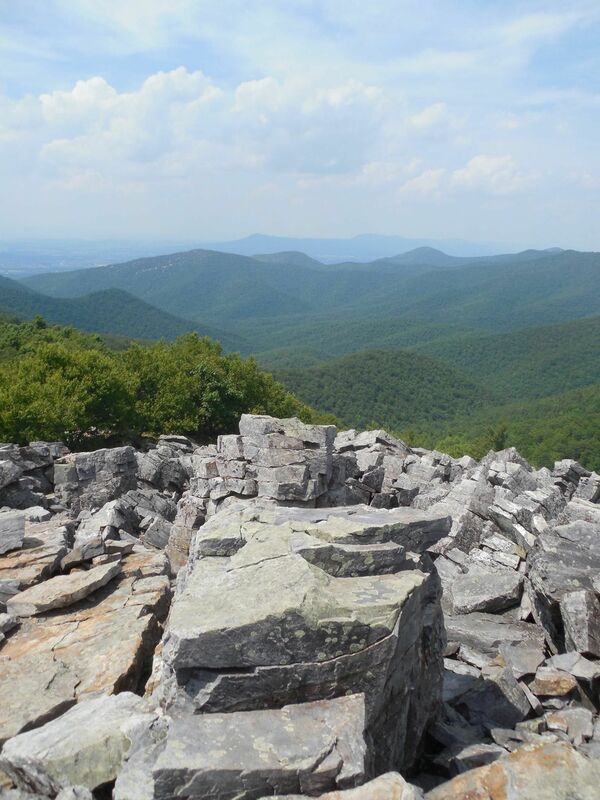 We summited one mountain that had a huge rock pile that we scrambled up for almost 360 degree views. While there, we ran into a geology intern that us about how the mountains formed. On our way to the Loft Mountain Campground, where we are staying tonight, we saw two bear cubs with their mother! When we arrived to the camp store, we immediately got ice cream and soda. We shared the campsite with two other hikers. After setting up our tents and having dinner, we headed down to the camp store to shower. Along the way, we saw a hare sniffing a turtle. The hare was all nervous about it… too funny! Very tired after my first 20 miler and I can hear a thunderstorm moving in. We watched it earlier as you could see lightning in the huge thunderhead. 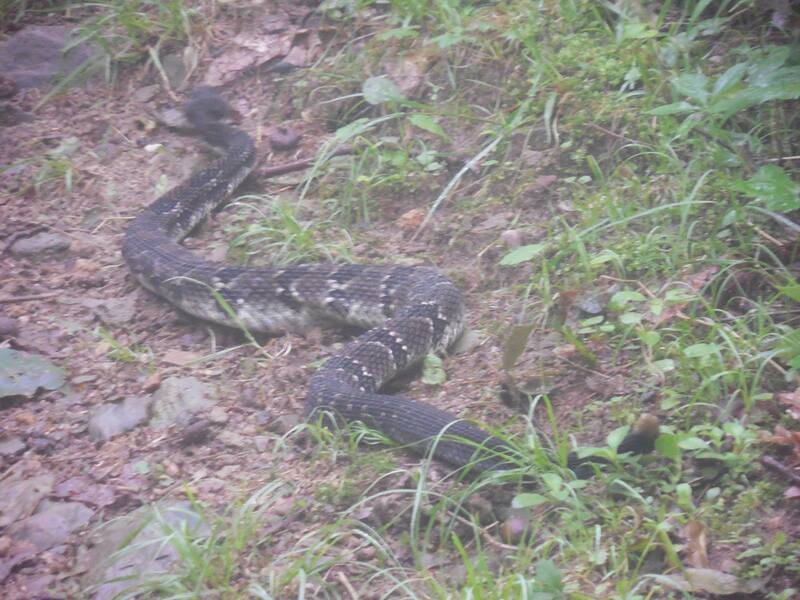 The Shenandoahs have already proven themselves to be much more friendly than the Smokies. Day 77: A short 14 miles today and I’m glad, because it was so hot out! We slept in while waiting for the camp store to open so we could resupply. I also had ice cream and soda for second breakfast! J-Rex hiked all day with us and it was nice to have her along. A couple of views today, but mostly just hot. We got into camp around 5PM, set up and had dinner. Now reading until bed! Day 78: We woke to a nice breezy day! 19 miles turned out to be pretty nice. The terrain got easier as the day went on and we got a couple nice outlooks. Hiked with J-Rex again… she is so nice! Saw another yearling bear and tons of deer. 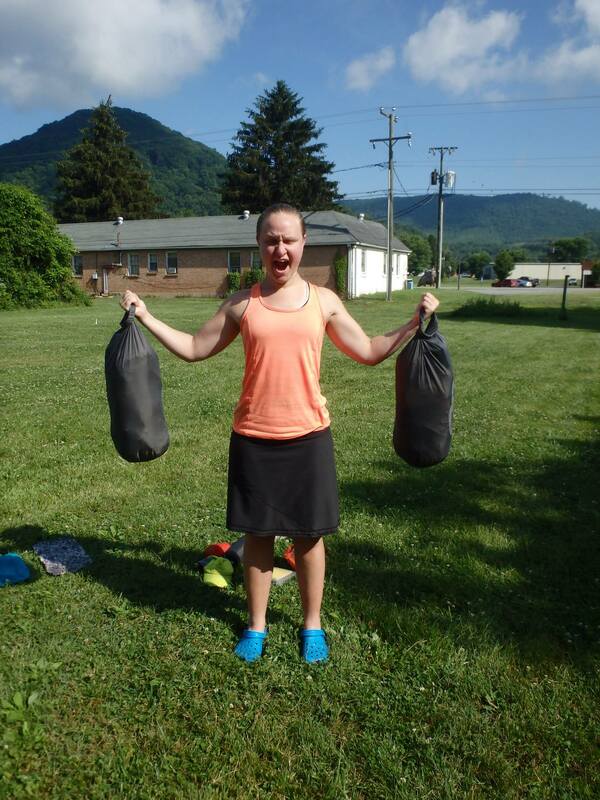 We hiked to the Big Meadows Campground and stopped into the camp store to resupply. 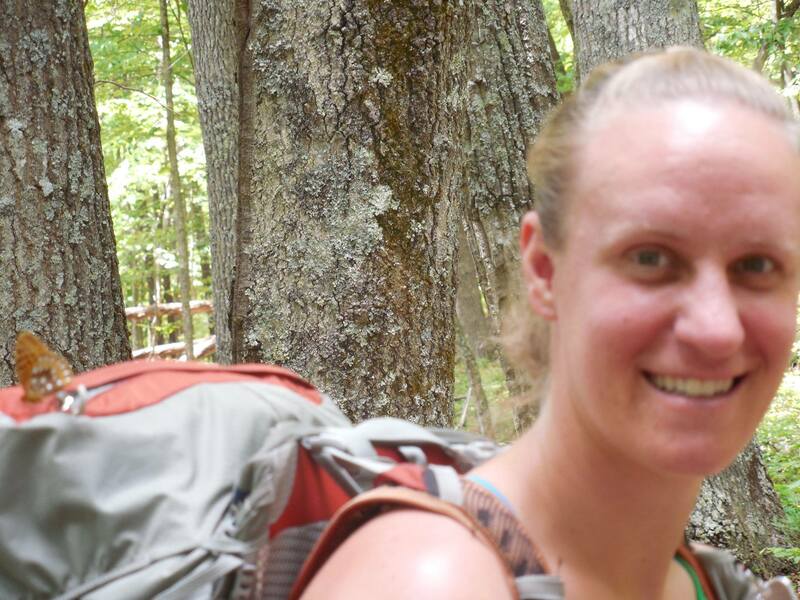 While we were shopping, another hiker came over to ask us to help her eat a blackberry ice cream cake. The thing was huge, so we obliged! It was so tasty. We decided to eat dinner there and Cozy joined us halfway through. She ended up paying for our campsite and giving us laundry detergent! 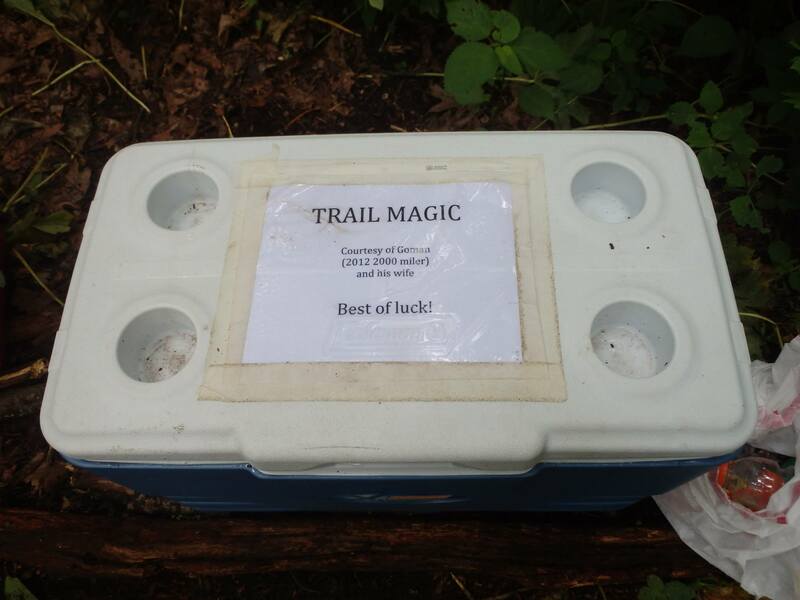 Trail magic from fellow hikers is just awesome. After dinner, we got a tent site and set up our tents. Then we showered and washed laundry. A quick rain shower came through before bed. Day 79: Today was a long but great day! We ate breakfast at the Wayside with lots of coffee. We started hiking around 9AM and the weather was nice. 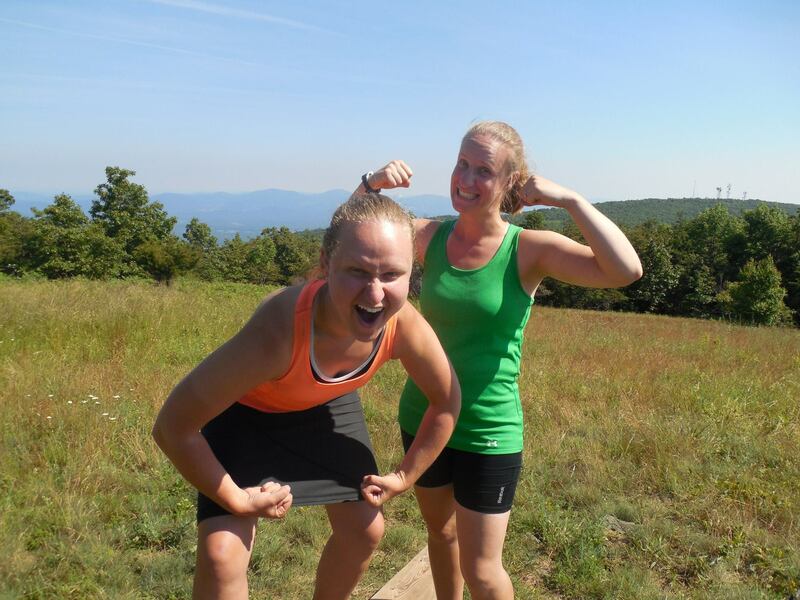 We hiked steadily until we got to the Skyland Resort and Restaurant. We decided to eat lunch there! I had salad, chicken pot pie and fruit. It was all very delicious. After lunch it started to pour as a severe thunderstorm was coming through. We checked Navigator’s phone and the rain was supposed to pass within an hour, so we decided to wait it out. I ended up napping on the couch in the lobby. 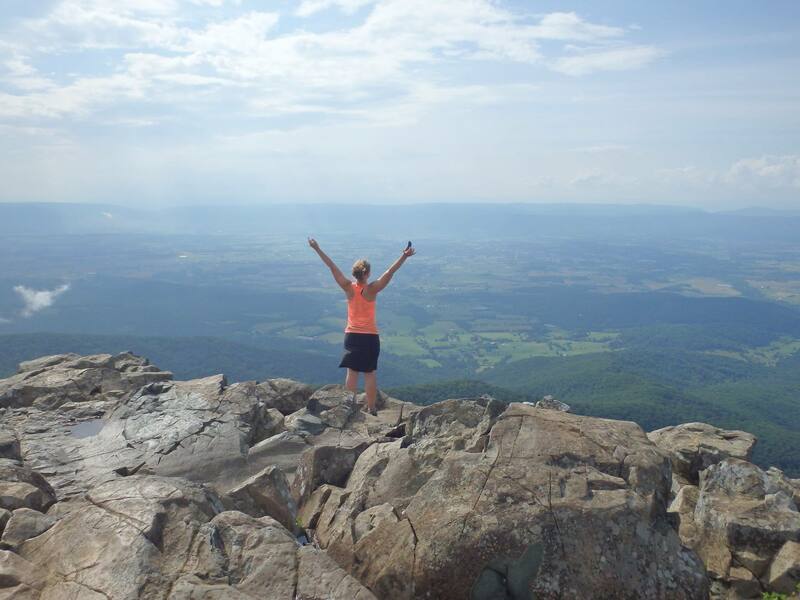 We hiked on afterwards and got some beautiful views at Stony Man Mountain and more further up the trail. We got rained on a little before reaching the shelter, but nothing serious. Sleeping in the shelter tonight to keep everything dry. Day 80: Today was a ‘meh’ day. We got a nice view in the morning from Mary’s Rock. The clouds rolled in as we were checking it out. Afterwards was straight hiking. I put my music in to get through it. We saw a young buck in the trail. It didn’t run away from us! All the animals in the park are too tame. Later on, we got second lunch and a blackberry milkshake at the Wayside. Then we had a short hike into camp. My muscles are feeling tight today. I need to chug water and stretch out! Day 81: We hiked 13 miles today and left Shenandoah National Park (we’ve started calling it Blackberry National Park after J-Rex noticed the blackberries were the park’s best feature). We got trail magic as we got to Route 255 near Front Royal, VA. We went just a quarter-mile from there to the Mountain Home B&B, which is a renovated historical home from the Civil War era. (They run the B&B like a hostel but can’t call it a hostel due to town ordinances.) There was an extremely nice couple running the place and they were very accommodating. They drove us to town to resupply and we ate dinner at the Tavern Mill Restaurant. The food there was absolutely yummy! Day 82: Woke up at the Mountain Home after a wonderful night’s sleep in a real bed! They cooked us a wonderful breakfast and we had great conversation. We didn’t end up leaving until around 10AM. The trail was mild and we stopped for lunch at a shelter with a deck and chairs with backs! We got trail magic about 2 miles before the shelter and decided to pack in a beer! We only did about 10 miles to the shelter we are staying at. Drying out our stuff and enjoying the early day. Day 83: 16.2 miles today. The day started out easy and we cruised through the miles. There wasn’t much to see so we joked with each other to pass the time. J-Rex is still with us and we’ve been having a blast! Sky Meadows State Park was pretty and we got to sit on a bench. 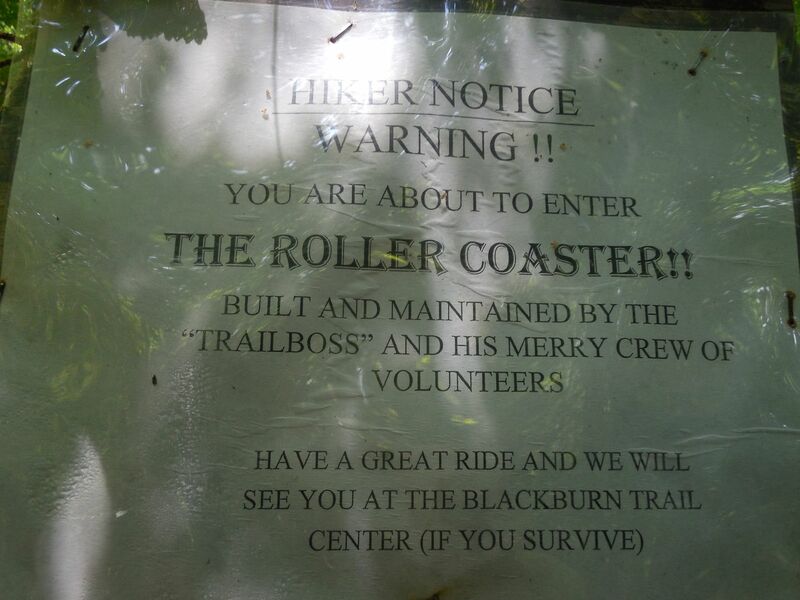 In the afternoon we started a section of the trail known as “the roller coaster”. It is 13 miles so steep ascents/descents. We got two out-of-the-way this evening. More to come tomorrow. In camp early again! More reading to be had tonight. Staying in a slanted tent site, but we’ve slept on worse. Day 84: Today we finished the roller coaster and it was pretty brutal. It was a hot day and we were not rewarded with good views. We stopped in at the Bear’s Den Hostel before lunch to grab a soda and refill water. The place was gorgeous, as it is an old castle. We hiked on until we finally made it past the roller coaster. Having planned on staying at a further shelter, we decided to stop at the Blackburn AT Center for the night. The caretakers ended up cooking us a spaghetti dinner with salad and bread! We slept on some cots on a screened in porch. What a wonderful surprise to a tiring day! We also hit the 1000 mile marker today! Here’s to 1000 more. 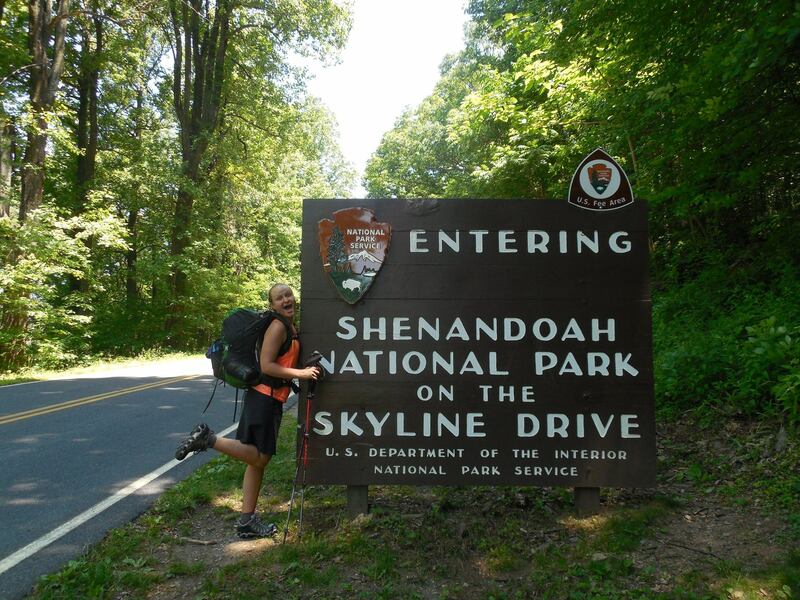 Day 85: We finally made it out of Virginia! We hiked 12.5 miles into Harper’s Ferry, WV today. There were no views and at times the terrain got rocky. We are very excited to be in West Virginia. 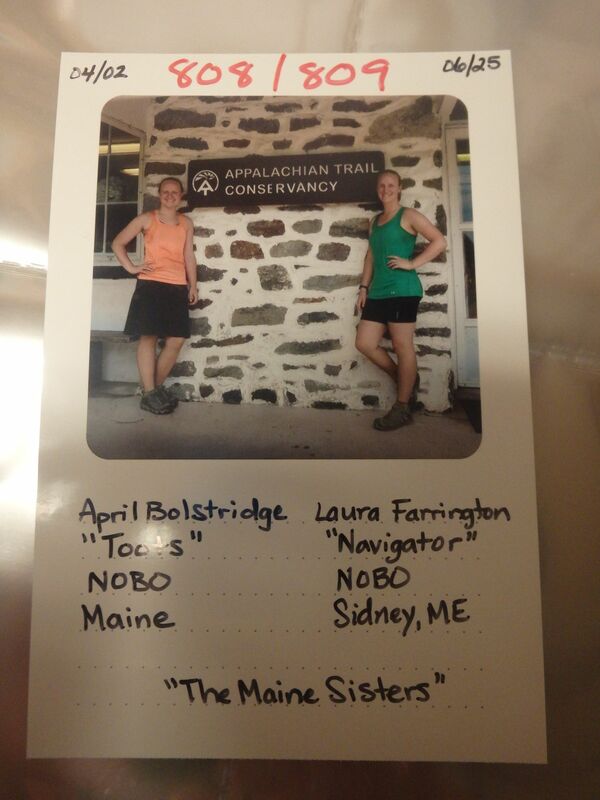 When we got to town, we went to the ATC Visitor’s Center and got our pictures taken! This is the emotional halfway point (as the official changes every year). I am hiker #808! Afterwards, we checked into the Teahorse Hostel and went to get a late lunch. Looking forward to our zero tomorrow! 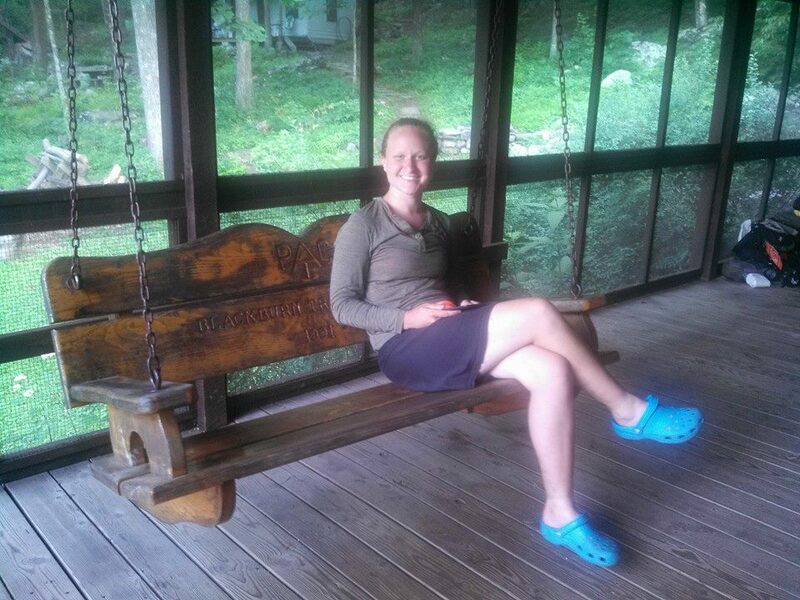 Day 60: We did 19.7 trail miles today, but we also hiked back to the trail from the hotel in Pearisburg. We got a couple of views from the power lines and a great view at lunch. We saw a queen ant out of her nest… she was huge! This section of trail was very rough. It looked as if no one had worked on it in years; trees were down and branches grown in. Stopping at Pine Swamp Branch Shelter tonight. Very tired! Day 61: We were supposed to do 18 miles today, but decided to do it tomorrow since the terrain looks nicer from the guide. We stopped at an outlook for lunch and ended up taking a nap! It was nice and sunny. We got into camp in the afternoon and I took another nap after we set up our tent. I woke for dinner and enjoyed conversation around the campfire until bed. Day 62: As we left camp this morning, we flushed a big turkey in the trail ahead of us. 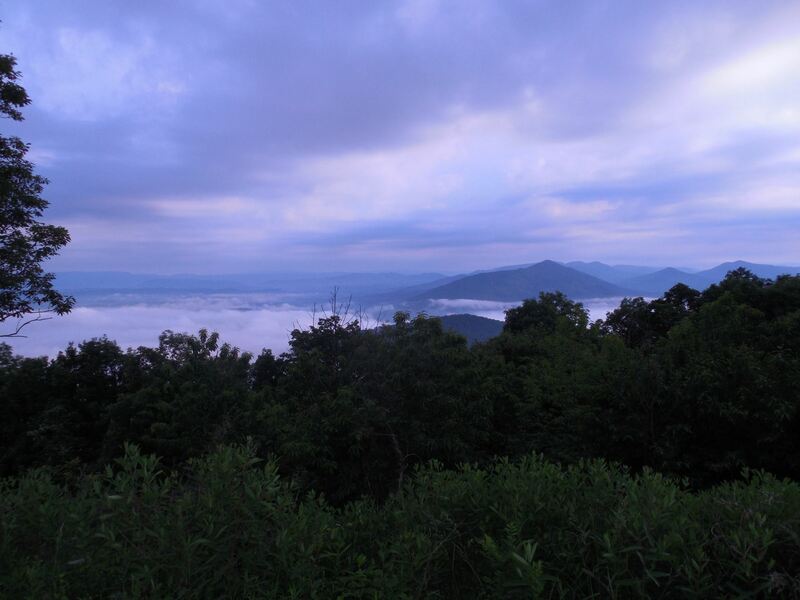 We climbed Kelly’s Knob, but there were no views! 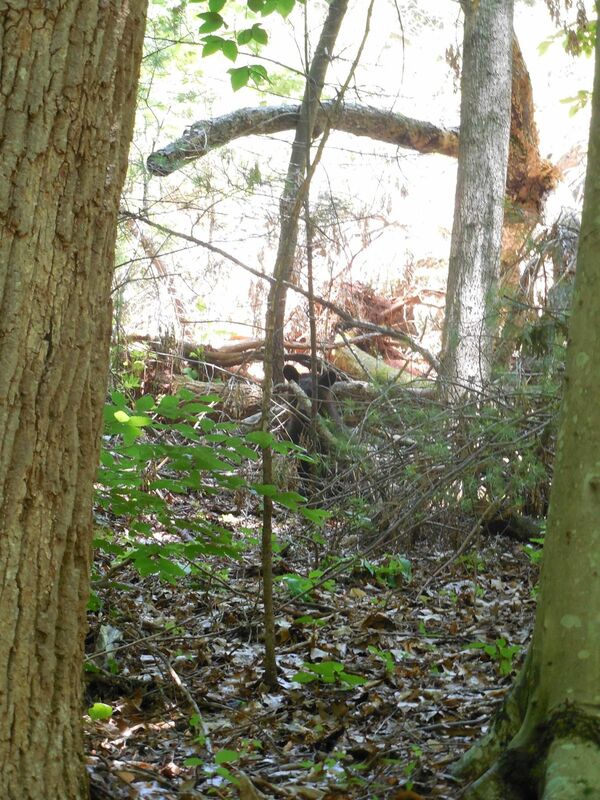 We stopped in the woods for lunch and could hear an animal rummaging behind us. I also heard something rustling in the leaves by the log I was sitting on. I looked down to see a big brown spider. It started running down the log towards Navigator and I yelled at her to get up! The spider jumped towards her just as she stood up. Who knows what it was trying to do. Also during lunch, the top of a tree tumbled down behind us! The best part, however, was the orange butterfly. It was hanging out on all our orange stuff and rode on Navigator’s backpack for a solid mile. Very neat! After lunch we had a serious climb and got a free apple from another thru-hiker’s family. It tasted so delicious! We got a couple of views and the four Vitamin I’s I took helped me get down the hill to the shelter. We had salmon and couscous for dinner… it was great! Very tired again. Day 63: Today was a good day! We woke up at 5 AM and set out early. We killed the first hill and visited a memorial for the most decorated WWII veteran. We hiked down that mountain and then it was off to Dragon’s Tooth. That was very cool. 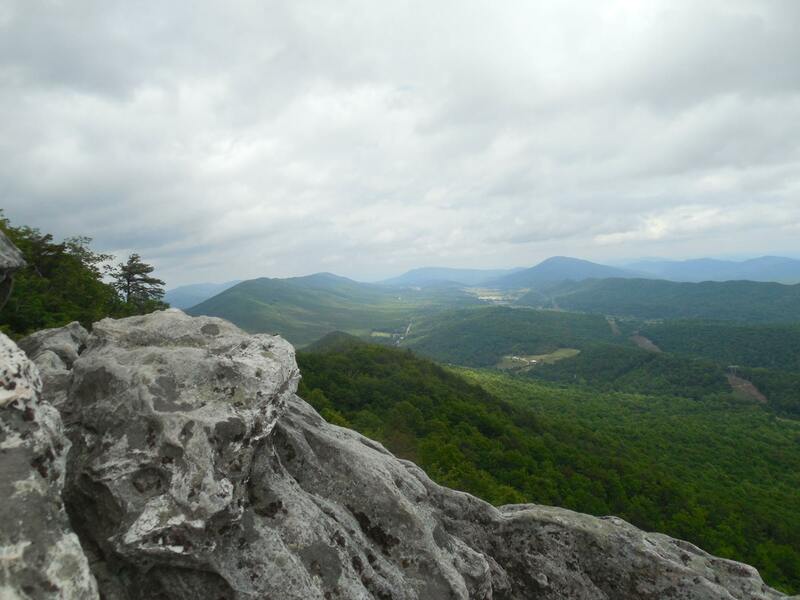 We rock climbed up to the top of these huge rock outcroppings to a great view. The hike down was very rocky and beautiful. The scenery reminded me of Acadia National Park (minus the ocean). My only problem was my sore feet, but I enjoyed the hike anyways. Staying at Four Pines tonight. It is a very laid back place. We are camping in the yard. Got a shower! Day 64: What a cool day! It started out warm with a fresh pot of coffee and we passed 700 miles! We got hit by a quick thunderstorm and the downpour felt nice as it cooled us off. The sun came back out for our climb to McAfee Knob. The views were great and we stood out on the overhang for pictures. 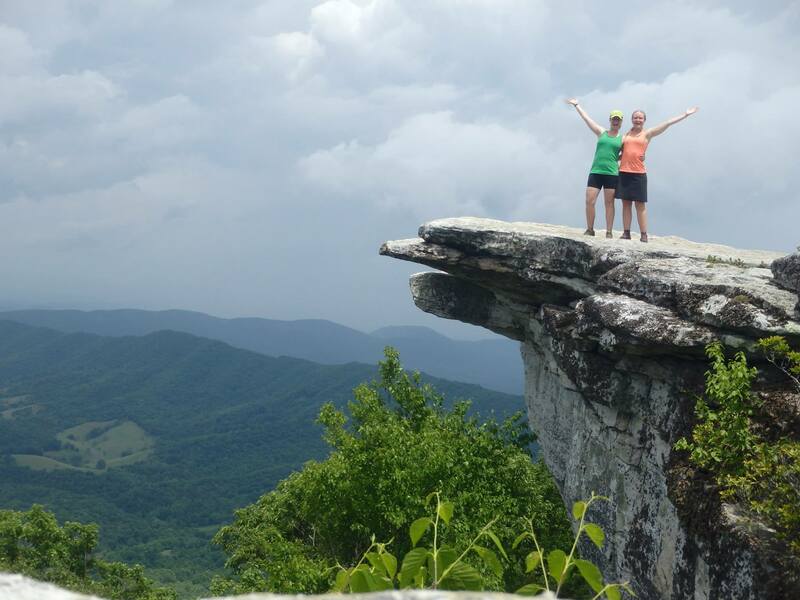 We hiked on and got hit by another thunderstorm on our way to Tinker Cliffs. There was pea to dime sized hail and it was coming at us sideways due to the high winds! I could feel it pushing us around. We stood behind some big trees to block it before deciding to move on. The sun came back out and we got spectacular views from the cliffs. Afterwards, it was a short downhill to the shelter. We cooked dinner and it started to rain again as we set up our tent. Hunkering down until the morning! Day 65: A nice short hiking day! We got a few good views on our way into Daleville, VA. When we got to town we went straight to the Three Lil’ Pigs Restaurant for food and free banana pudding! Afterwards we went to the outfitters and I finally found some Body Glide! We hit the grocery for resupply and Wendy’s to charge, then went to Pizza Hut for dinner. 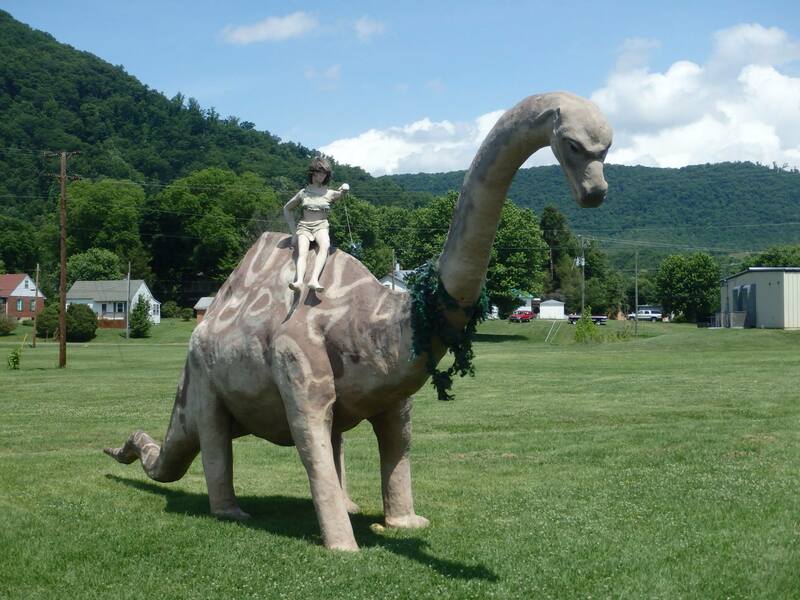 Once stuffed, we hiked 1.5 miles to Troutville, VA. We hitched a ride to the Town Park for free camping. We set our gear out to dry and went to the Fire and Emergency Department for free showers and laundry! We got done after dark and came back to set up our tent in the park. Day 66: Today’s 17 trail miles felt good! Last night there was a lot of noise (train, people, cars, etc.) at the park but I still managed to get some sleep. We walked 1.2 miles on the road to get back to the trail. The terrain was nice, but after our lunch break I noticed my left “ring finger” toe was super swollen. I’m not sure what happened! I took Vitamin I to try to help with the swelling and pressed on. 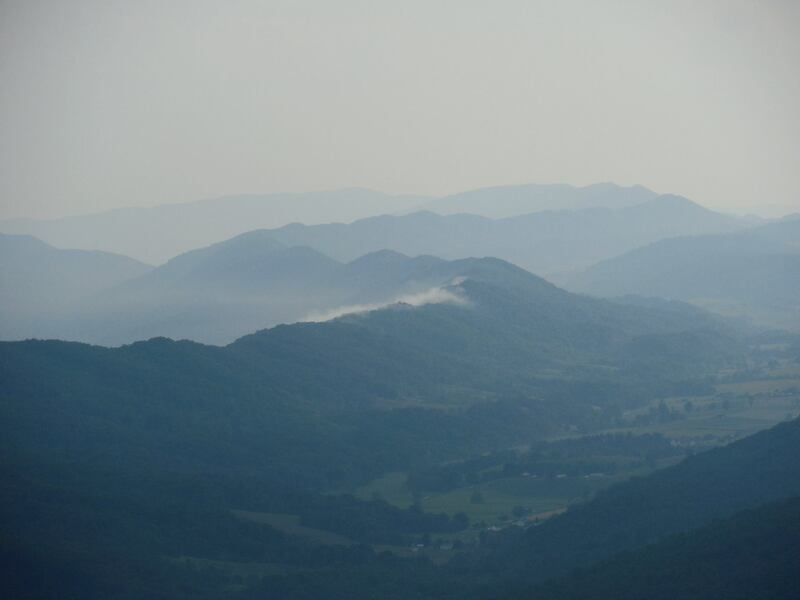 We got some good views from Blue Ridge Parkway (BRP) and the sun was super hot out in the open! We got into camp just in time for dinner and still have some daylight left before bed! Sleeping in the shelter as we are the only one here. Off to read! Day 67: Today was a good day. We got a few good views in the morning crossing the BRP. We made it to Jenkins Crossing for lunch where there was a nice swimming hole. I jumped in before eating and it was very cold but refreshing. After lunch we had about 8 miles left of our hike (18.4 miles total). We hiked up and down on mountain, then had a 5 mile uphill to the shelter. It felt great! I wish we could hike uphill or flat all the time. We caught up to Lovin’ Cup today and met Turtle and Flea. Very nice people! Day 68: What a long but fun day! We started the morning before the birds were up. I woke Turtle up by shaking her tent and growling like a bear. She woke right up! Flea and Utah were the first to leave camp, followed by us. We got a view early on and another shortly after. We made good time on our 19.9 trail mile day. We had lunch at a campsite with a perfect rock seat. Afterwards, we had a long downhill to do. That was rough! Jammed to my music for a lot of miles. When we got to the footbridge, we met Miss Janet and she offered us a ride! Food and resupply done, we hung out with some fellow hikers before bed. Day 69: We spent the morning in Glasgow, VA sleeping in, showering, charging and surfing on the computers at the library. We got two hitches to the trail. The first took us a mile and started driving before I was fully in! Thankfully Navi caught me. The second was from a man up visiting his father who fights poachers in Africa! The people you meet! 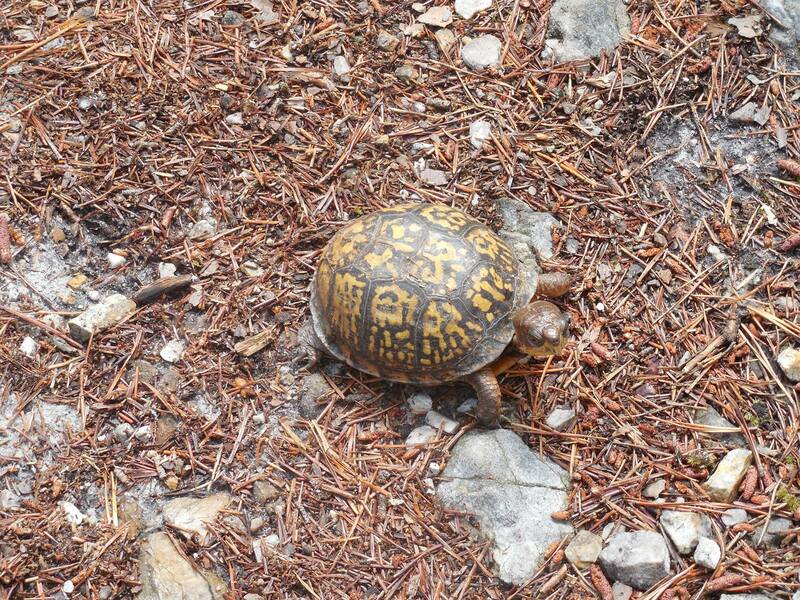 He was very nice and we saw him again as he ended up shuttling more hikers out to the trail. At the trail head, we ate lunch then started hiking. We got a couple of good views and a couple tough climbs. Only around 10 miles but it was hot and we are tired! We set up our tent late, as quickly as we could. Off to bed early and it is still very hot! Day 70: We saw a bear today, munching on something. It didn’t seem to mind us! Today was so hot and humid. We got to a shelter after lunch and decided to take a nap before climbing 5 miles to avoid the heat. When we got up, we ate dinner and headed out. 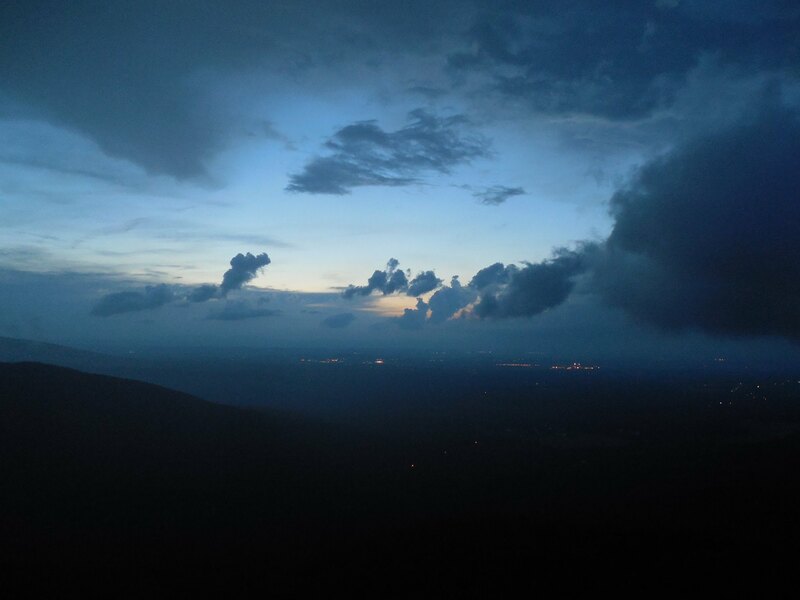 We reached the top of our last climb as the sun set and we watched a thunderstorm in the distance. The flashes had a red tinge to them. At the top of our final climb, we heard a pack of coyotes get a kill. We got to the camping area around 11 PM and set our tent up quickly. Later that night, the thunderstorm moved in and I made Navi get up so we could move the tent under some trees. The storm was crazy! Tons of flashes and booms. Day 71: This morning we slept in late to make up for the late night. It felt great! We hiked a short 14.7 miles. We got trail magic at Salt Log Gap! 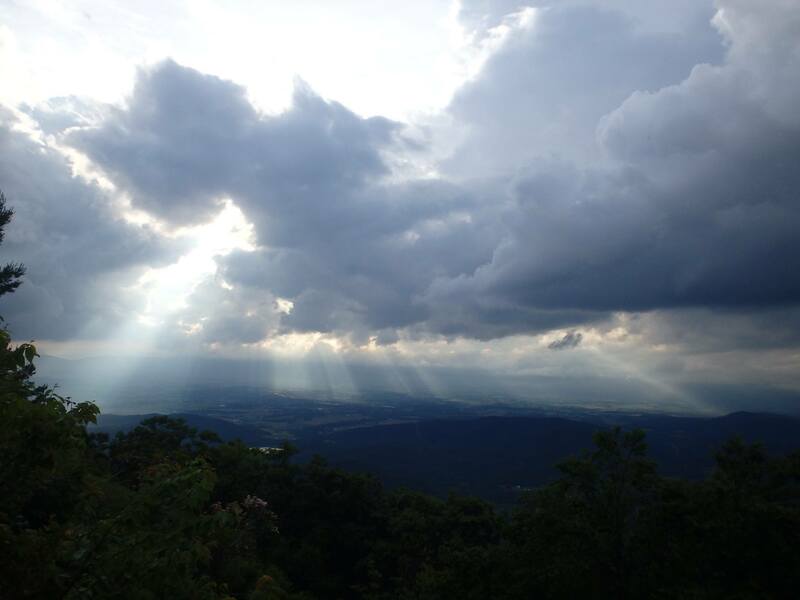 We scrambled up Spy Rock to some good views and noticed some thunder clouds moving our way. The rain hit us and continued until we got into the Priest Shelter. The trail log was funny as people were writing confessions. We had dinner and set up our tent just before another thunderstorm rolled in. It was raining so hard it bounced off the ground and came into our tent! My bag got damp overnight, but I stayed dry and warm. Day 72: We started the morning by climbing 4.3 miles down the Priest and it actually wasn’t that bad. Afterwards we climbed up Three Ridges Mountain (stopping in at the shelter for lunch) which was long but not too bad. We lost and then regained 3000 feet! We hiked down the other side and ate dinner at the shelter. We have been taking longer breaks which has led us to hiking later. We hiked until sunset where we stopped at an outlook and thankfully found a spot to set up our tent. We could see city lights and an incoming thunderstorm from the outlook! Day 73: I woke up feeling exhausted today. We had a pretty easy 15.7 miles into town but I just didn’t have the energy. We managed to get to town around 3:30 PM and found soda trail magic! We tried to hitch a ride and got picked up in a company van. He drove us around town on the highway to drop us right at the post office. My shoes were not there! I called Merrell and got things worked out, but I can’t wait any longer for new shoes! I’m going to buy a new pair at the outfitters tomorrow. We are staying at a free hiker hostel with cots and wifi!